Defending Against U.S. Postal Inspection Service Investigations Under 39 U.S.C. § 3001 - Oberheiden, P.C. 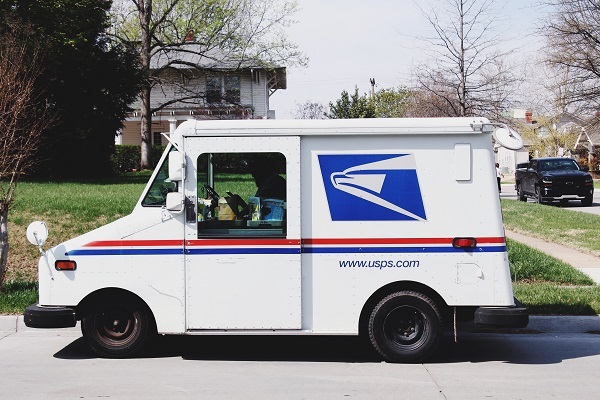 Use of the United States Postal Service (USPS) to deliver communications and shipments is subject to a bevy of rules and regulations. While these rules and regulations come from a variety of different sources, one of the primary sources of statutory authority is 39 U.S.C. § 3001. Under 39 U.S.C. § 3001, individuals and businesses can face steep penalties for offenses ranging from shipping hazardous substances to failing to include mandatory disclosures with sweepstakes and promotions. As a result, when facing an investigation under 39 U.S.C. § 3001, one of the first critical steps is to identify the specific allegation (or, more likely, allegations) involved. At Oberheiden, P.C., our federal defense team (which includes several former federal prosecutors) has extensive experience in matters under 39 U.S.C. § 3001; and, if you or your business is being targeted by the U.S. Postal Inspection Service Investigations, its Criminal Investigations Service Center, or any other federal law enforcement authority for one or more mail-related offenses, we can use this experience to protect you. What is the Scope of 39 U.S.C. § 3001? Not falsely represent that the recipient of the solicitation has already won a prize. Other forms of fraudulent and misleading solicitations for the purchase of goods or services, whether or not the goods or services are actually offered for sale. Have been purchased or requested by the recipient. What Should You Do if You are Being Investigated Under 39 U.S.C. § 3001? Not respond to the letter immediately. The letter you received probably says that you should contact the authority that sent it immediately. While you may need to respond promptly, at this point, any communications should be conducted by your legal counsel on your behalf. You could be facing the potential for civil or even criminal charges, and you need to be absolutely certain that you do not say anything that could put your freedom in jeopardy. Not discuss the case with anyone else. When you receive a letter from the federal government, you may be tempted to discuss it will colleagues, friends, or family members. Have they received a similar letter? Do they have any idea what this is about? Is it legitimate, or is it some type of scam? While these are all logical questions, you should not discuss the investigation with anyone except the attorneys on your defense team. Engage defense counsel as soon as possible. To avoid these and other mistakes, you need to begin working with experienced defense counsel. By “experienced,” we mean a defense attorney (or, preferably, a defense team) that has specific experience in federal cases involving allegations under 39 U.S.C. § 3001. These cases are both highly-unique and highly-complex; and, to put yourself on a level playing field with federal agents and prosecutors, you need a team of proven federal defense attorneys on your side. If you or your business is being investigated under 31 U.S.C. § 3001, you need experienced legal representation. So, why should you choose Oberheiden, P.C.? 1. The Government Will Not Tell You about Its Investigation. During your investigation, the government will only tell you what it wants you to know. Our attorneys can gather the information needed in order to assert a successful defense, and we can do so quickly while simultaneously helping you take steps to protect yourself. 2. You Could Be Facing Multiple Charges Under 39 U.S.C. § 3001 and Other Statutes. If you are being targeted under 39 U.S.C. § 3001, there is a very good chance that you are being targeted under 18 U.S.C. § 1341, 18 U.S.C. § 1343, and various other federal statutes as well. Our attorneys have successfully represented clients in cases involving these and other allegations, and we can use this experience to your advantage. You may not be the only person who received a letter. If the government is also seeking to collect information from other witnesses, targets, or alleged “co-conspirators,” you need to factor this into your defense. 4. Our Firm’s Practice Focuses Exclusively on Federal Cases. Our firm’s practice focuses exclusively on federal cases. Our practice is nationwide in scope, and we have successfully represented individuals and businesses at all stages from investigation through sentencing and appeal. 5. Our Defense Attorneys Have Centuries of Combined Experience on Both Sides of Federal 6. Investigations. Several of our defense attorneys are former federal prosecutors with the DOJ. Together, our attorneys have centuries of combined experience in high-stakes federal cases. To discuss your 39 U.S.C. § 3001 investigation with a member of our federal defense team, please contact us to arrange a free and confidential initial case assessment. You can reach us 24/7, so call 214-469-9009 or tell us how to reach you online now.